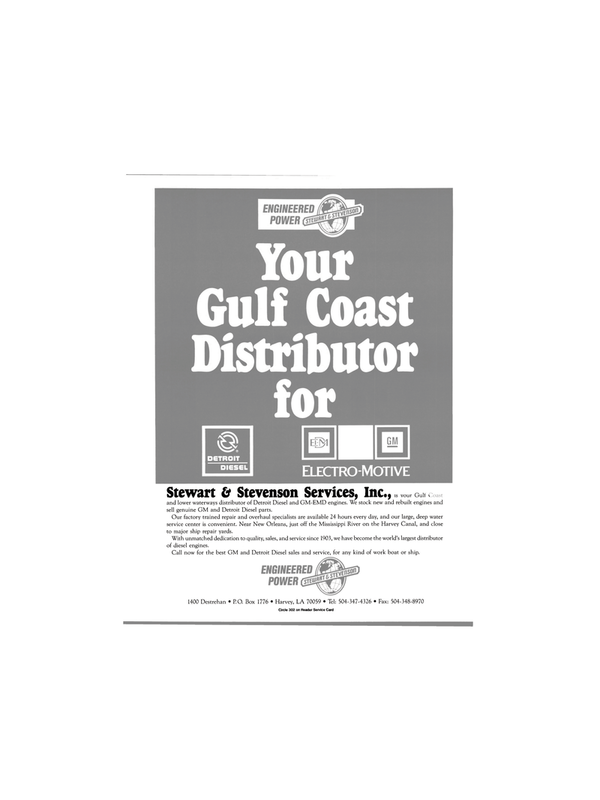 Stewart & Stevenson Services, Inc., s , ,, and lower waterways distributor of Detroit Diesel and GM-EMD engines. We stock new and rebuilt engines and sell genuine GM and Detroit Diesel parts. Our factory trained repair and overhaul specialists are available 24 hours every day, and our large, deep water service center is convenient. Near New Orleans, just off the Mississippi River on the Harvey Canal, and close to major ship repair yards. With unmatched dedication to quality, sales, and service since 1903, we have become the world's largest distributor of diesel engines. Call now for the best GM and Detroit Diesel sales and service, for any kind of work boat or ship.